Mario Casabona is an entrepreneur and active angel investor. In 2006, he founded the micro-VC firm Casabona Ventures, investing in over 25 early stage companies. Investments are currently focused on seed stage companies and the Internet of Things (IoT). In 2011, he founded TechLaunch, NJ’s first tech accelerator whose mission was to identify and nurture early-stage tech ventures by mentoring, coaching, and providing access to resources and capital. To date, TechLaunch has supported over 50 tech companies, mentored over 100 budding entrepreneurs and has over 150 Mentors in its network. 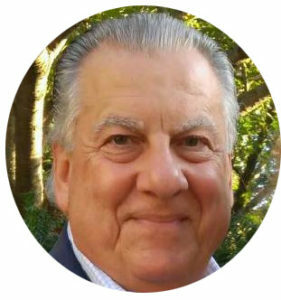 Mario is Chairman Emeritus of Jumpstart NJ Angel Network and Chairman Emeritus of the R&D Council of New Jersey. In 1982, he founded Electro-Radiation Inc. (ERI), a defense technologies company which was acquired by Honeywell Aerospace Group in 2004. ERI was a developer of Radar, Navigation and Communications equipment for the National and International Defense industry. Mario received the Small Business Administration National Tibbetts Award for his contributions in technology, and was listed as one of the top five most influential persons in New Jersey technology by The Star-Ledger. In 2018 he was awarded The ICON Honors by the NJBIZ Magazine. In 2014 he was named NJ’s Immigrant Entrepreneur of the Year (he immigrated to the U.S. from Italy at the age of five). He was twice recognized by the New Jersey Technology Council, in 2013 as the recipient of their Legend of Technology Award and earlier in 2010 with their Financier of the Year Award. He currently serves on the Boards of various for-profit and non-for-profit organizations. He is often quoted in main-stream media and trade outlets, and enjoys being a frequent guest speaker and panellist at University and Professional events. Mario is an Electrical Engineer and is named in 6 national patents in the field of satellite-based navigation and communications. He lives in Morris County, enjoys mentoring, launching new ventures, vacationing and spending casual time with family and friends in his Catskills log home.